After yesterday's promising upside action in many biotechnology and healthcare issues, those sectors are noticeably lagging a flattish, mixed tape this morning. For a while now, traders have been frustrated by the choppy action we have seen across healthcare and tech in general, as many hot growth names have taken the last several weeks, if not longer, to reset some extended charts. 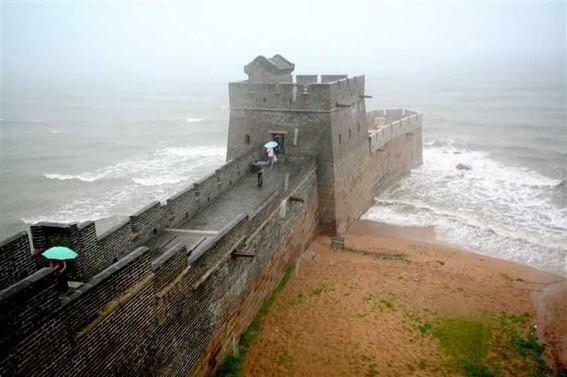 On the surface, there is not much damage of which to speak, as the IGV HACK (software and cybersecurity) ETFs, as well as the IBB XBI XLV (biotech and healthcare) ETFs are all in solid technical shape on all timeframes, even if they are seemingly trying to "eat through" a proverbial great wall of resistance dating back to February. However, gauging the healthcare ETF daily chart, below, if we see buyers begin to lose patience with these patterns and start to throw in the towel, I want to keep an open mind that some sharp drops can occur as well. 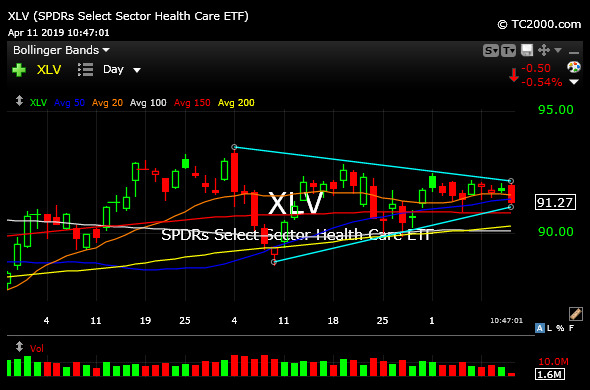 As an example, the XLV daily is triangulating, highlighted in light blue for you. But that is a far cry from a guarantee the pattern resolves higher, even if it seems like it should, and often does. Hence, not being lulled to sleep in a boring tape like this morning's is important when biotechs, for example, were hot yesterday and are now back down to testing Tuesday's lows on the IBB XBI as I write this.